Dr. Gaertner, a native of the Twin Cities, has a primary focus in urologic oncology. The first private practice robotic prostatectomy in the upper midwest was preformed by Dr Gaertner and his partner Dr. Knoedler in 2004. Since then, they have dedicated the past 10 years developing and perfecting advanced techniques in robotic surgery. These techniques have lead to improved outcomes and have been shared with over 100 visiting robotic surgeons nationwide. 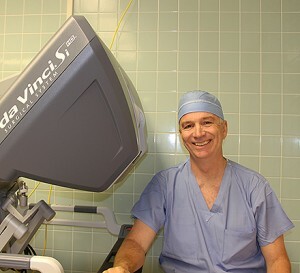 Dr. Gaertner currently serves as a director of the Robotic Surgery Program at Healtheast Hospitals. He is recognized by his peers as a “Top Doctor” in the Minneapolis/St.Paul and U.S. News and World Report Magazines. Doctors Knoedler and Gaertner were awarded the Thirlby Award for outstanding clinical research in robotic surgery. Dr. Gaertner has been a partner with Metro Urology since 1996. He serves on the Board of Directors and is active in Metro Urology’s Cancer Center. Dr. Gaertner sees patients in Maplewood and Woodbury, Minnesota and River Falls, Wisconsin.